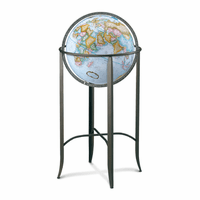 The Marin globe, by Replogles, will add hours of fun discovery for your family, friends, associates, and clients! 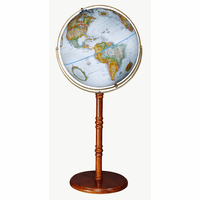 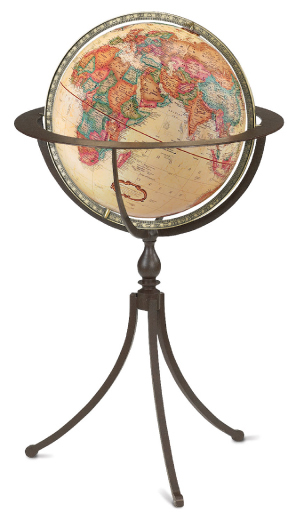 The handsome antique ocean globe is 16' in diameter, and is surrounded by an antique brass meridian. 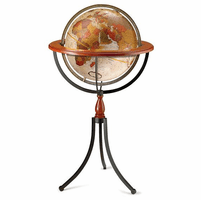 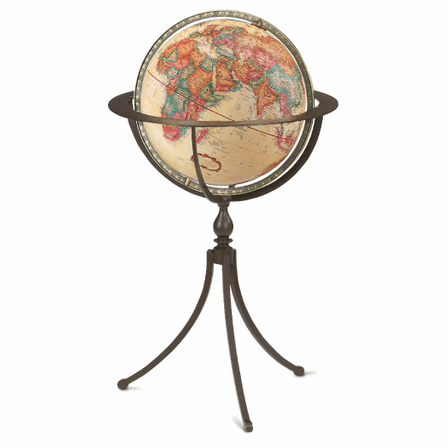 It is set in a wrought metal base that surrounds the lower half of the globe, and rests on a three-legged flared metal stand. 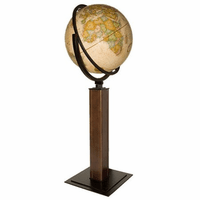 The effect is charming, and will fit with any decor in home or office, with total dimensions of 20' x 16' x 47.5'.